Myth #2: "Hearing Aids are like Glasses"
Hearing amplifiers are like glasses, if a comparison must be made. Hearing amplifiers simply make all sounds louder across all frequencies. Glasses bend and distort light for our benefit in much the same way. But, if we're to compare what hearing aids do for the ears with a product that would do something similar for the eyes, we'd come to the conclusion that no such product exists. Let's assume that a person is suffering from Macular degeneration, described by Wikipedia.com as being, "...a medical condition which may result in blurred or no vision in the center of the visual field". Currently, there is no product on the market that can be placed over the eyes that will treat this condition. But, imagine for a moment such a product existed. Imagine that this fictional product, no matter where the wearer was to look, would bend the light differently for each exposed area of the eye. Imagine, too, that it could track changes in direction of the wearer's retina and could adjust accordingly. Hearing aids do perform that level of complex operations. As the wearer moves from one environment to another and interacts in different ways with each environment, the hearing aids adapt in a way that benefits the wearer. In a simpler time, prior to the digital age, hearing aids were much more primitive. Today, more than simply increasing volume, hearing aids use equalization, compression, and a slew of advanced, digital features (i.e. adaptive directionality, adaptive noise reduction, echo suppression, feedback management, environmental adaptations, etc.) are able to offer truly amazing benefits. Today's hearing aids may not look dramatically different from the hearing aids of yesteryear (although they tend to be smaller and more discrete), but looks can be deceiving. There is one caveat however. 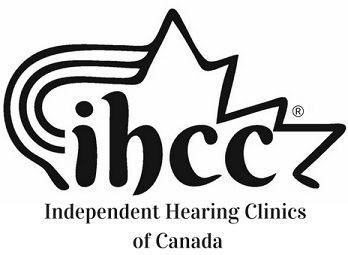 The realization of hearing aid benefits (or the "utilization" of the hearing aid) is fully dependent on the quality of testing, fitting, programming, and verification services performed by the hearing professional. The complex process of setting up a hearing solution, if done in accordance with best-practices, can have fantastic results.